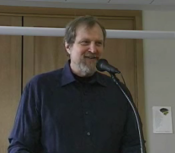 With the help of Archives.org, OCHC is pleased to present lectures online. Please click on the link or photo to see our lectures, streaming, and downloadable in various formats. One Flew Over the Cuckoo's Nest (1963) and Sometimes a Great Notion (1964), Ken Kesey's initial books, made his reputation. A University of Oregon graduate, he studied with Wallace Stegner at Stanford, with a stellar cast of fellow students including Wendell Berry, Ed McClanahan, Larry McMurtry, Robert Stone, and long-time collaborator Ken Babbs. Charles Erskine Scott Wood was a Renaissance Oregonian; author, soldier, attorney, and involved in the politics of his time. 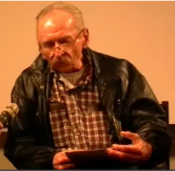 This is a discussion of his life and work, brought to you by the Oregon Cultural Heritage Commission. Vi Gale was a Portland, Oregon, publisher and poet. This is a celebration of her life, brought to you by the Oregon Cultural Heritage Commission, http://ochcom.org. Speakers include Barbara Drake, Anita Helle, Lawson Inada, Lars Nordstrom, Carlos Reyes, Vern Rutsala, Ralph Salisbury, Peter Sears, Kim Stafford, Walt Curtis, Lisa Steinman, Primus St. John, John Laursen, David Milholland and Ingrid Wendt. Few creative figures have had the local and global impact of Lloyd Reynolds, Oregon's only Calligrapher Laureate, whose holistic view of design has influenced generations of local calligraphers and image makers, poet Gary Snyder, Apple's Steve Jobs, and local politics and economy in ways this program reveals. With John M. Gogol, Charles Seluzicki and Walt Curtis. All too few know of the remarkable links between dissident poets of Eastern Europe and nations worldwide and several enlightened publishers here in Oregon. For some two decades Mr. Cogito, a press based at Pacific University in Forest Grove, co-edited by John M. Gogol and Robert A. Davies, published exceptional poets in translation whose voices were being stifled in their own lands.